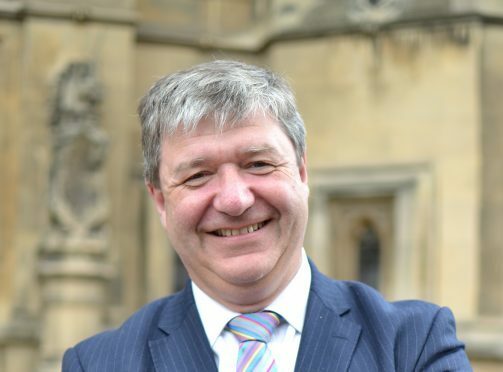 Northern Isles MP Alistair Carmichael. A walk-out of coastguard rescue volunteers in Shetland and Orkney could be on the horizon in protest of the anticipated return of a senior officer who had been suspended in 2015. Volunteers in the Northern Isles are unhappy that the officer is due to be reinstated on Monday. Northern Isles MP Alistair Carmichael met with Maritime & Coastguard Agency (MCA) chief executive Sir Alan Massey on Wednesday afternoon in an attempt to resolve the issue, but said there was “very little” progress made. The returning officer has not been at work since he allegedly fired a coastguard rescue officer on the spot during an exercise in Shetland in 2015. Carmichael said he has been left “disappointed” by the MCA’s attitude towards volunteers and its response to the “growing crisis”. “I could not have been clearer with him [Massey] that there is a real risk that he will see a lot of people in both Shetland and Orkney walk away from coastguard volunteering because they feel quite simply that they are not being listened to,” the MP added. “His response to this is that he sees this as small number of people who are unhappy. But he thinks he has no real problem. While he said he was unable to comment on the human resource aspect of the issue, Carmichael did raise general concerns about the management of coastguard volunteers in the House of Commons on Thursday. He called on ministers to intervene if the MCA is unable to resolve the issue. There are seven voluntary coastguard rescue teams in Shetland in Fair Isle, Sumburgh, Lerwick, Walls, Hillswick, Mid Yell and Baltasound, with between 80 and 90 active members. They assist the coastguard through duties such rope rescues and manning helicopter landings, but they also help the police in missing person searches, for example. Two teams from Baltasound and Mid Yell were called out early yesterday after a camper was flooded in heavy rain. A spokesperson for the MCA reiterated that it was “working collaboratively” with volunteers to find a solution to the dispute. “We encourage our volunteers to remain engaged in the process to ensure that a successful outcome is achieved. At this stage, it would be inappropriate to comment any further,” they added.